Drumming is a great way to relax, to have fun and to connect with others. The aim of DRUM NATURE is to use rhythm-based events to bring people together and to create a positive outlet for creativity, energy and self-expression. 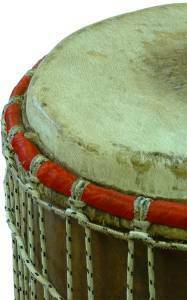 Drumming is a very accessible activity and even a group of beginners can create an up-lifting rhythm in a matter of minutes. Workshops and courses can be designed to suit your needs, and all ages and levels of ability are catered for. Equipment is provided and will be brought to your venue wherever you are. Google, Health and Safety Authority, Girl Guides, Primary Schools, Secondary Schools, Trócaire, Foróige Youth Clubs, Youthreach, Dublin Simon Community, Central Remedial Clinic, St. John of God Stillorgan, Crumlin Children’s Hospital, Enable Ireland, Ruhama, Dublin Buddhist Centre, Sonas Housing Association, National Adult Literacy Agency, Imaginosity, Ayrfield Dundrum, Ballyfermot Star, Axis Ballymun, PACE, Threshold Training, Maynooth University, Dhanakosa Retreat Centre, Blanchardstown Institute of Technology, IADT Dun Laoghaire, Citywise Education, Jonathan Swift Clinic, The Wheel, Spina Bifida Resource Centre, Down Syndrome Ireland, Orchard Centre, Blackrock Education Centre, Wicklow Child and Family Project, and many more.